Keeping in sync with the latest market norms and policies, we are indulged in providing a high quality range of Indo Nepali Texture Carpet. We are proud to offer excellent Indo Nepalese Carpet (IN-4001) that is elegantly crafted by experts, giving them enchanting looks. 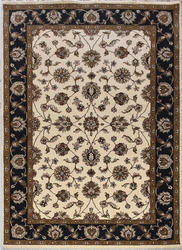 Our Indo Nepali Carpets are widely used for adorning interiors of a house. We can export products in Australia/NZ, South/West Europe, North America, North Europe, East Asia. We are engaged in providing Indo Nepali Carpet. These carpets are available in various colors, designs and sizes and offer great flexibility in terms of color, pattern and texture. These are available at market leading price. We are engaged in offering Indo-Nepal Carpets, which are elegant in designs and patterns. 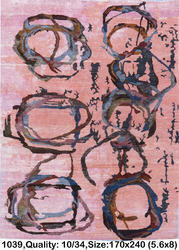 These carpets can be manufactured by us in various vibrant and sober colors as per our customers requirements. These nepali carpets are available with us in beautiful design and sizes. We are quality maker of indo-nepalese carpet in very exclusive design and colors. Indo Nepali carpets, that have the embellishment of floral designs catch the attention of everyone with their blue and red shades.